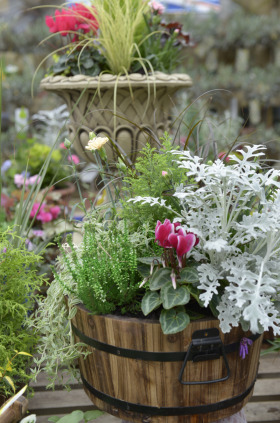 Sales in outdoor plant areas at garden centres across the country performed better than other categories in October according to the Garden Centre Association’s (GCA) Barometer of Trade (BoT) report. Compared to last year (2017) sales of outdoor plants were up 11.93%. Houseplants sales followed close behind at 11.21% up. GCA chief executive, Iain Wylie said: “For the past two months sales in houseplants departments have been coming out on top, but during October outdoor plants have just pipped them to the post. The milder autumn weather was the catalyst to allow people to keep gardening. Seed and bulb sales were up 9.57% and garden sundries were also up 6.65%. Sales were also up in furniture and barbecue departments at 4.82% and gift sales were up 1.45%. Mr Wylie continued: “Hard landscaping sales were up 17.21%, pets and aquatic sales were down -0.13%, food hall and farm shop sales were up 5.24%. Clothing was up 3.26% and catering was up 6.88%. Overall sales for the month were up 5.31% with a year to date change of 2.18%.